Make little children smile with this lovely Felt Baby Bear with Crown Mini Mobile from Fiona Walker England. 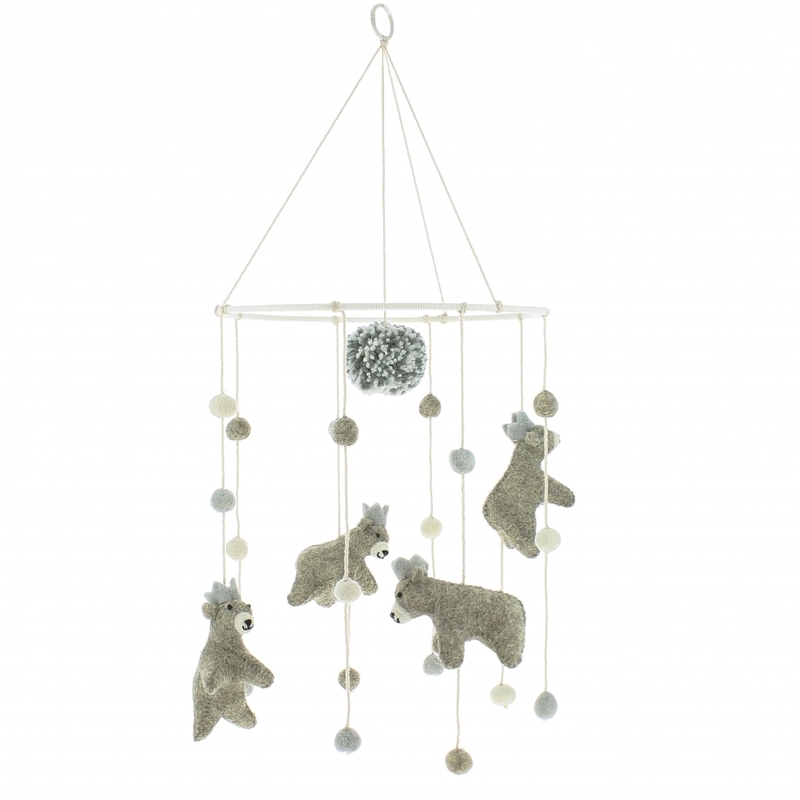 This quirky modern hanging mobile features grey baby bear with crown, wool balls and pom pom would be a beautiful addition to a nursery or child's bedroom. Team up with the matching Rug, Storage Bag and Mini Wall Head from Fiona Walker to create a gift set for new parents.